Why Does Mildew Grow on Vinyl Siding? Vinyl siding is a popular addition to the exterior of homes because it’s known for being durable and affordable. But there is a downside to this material, and it’s that mold and mildew tend to grow on vinyl siding. 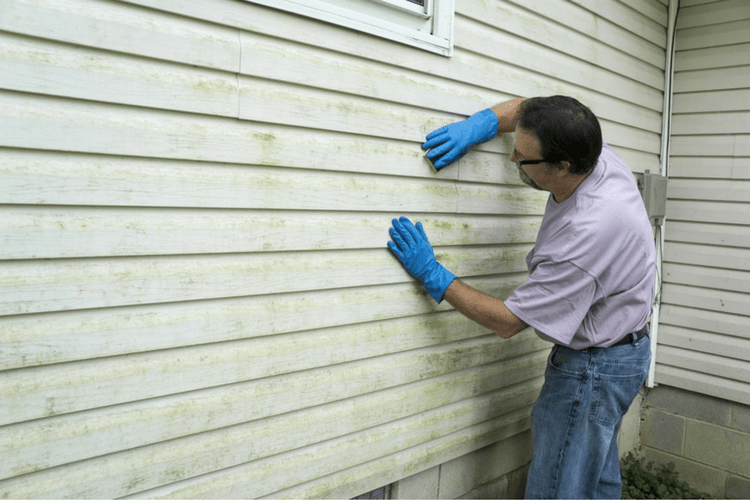 Whether homeowners are considering adding vinyl siding to their home or are concerned about the siding they currently have, it’s a good idea to find out more about mildew and mold on vinyl siding. More specifically, it’s helpful to learn the factors that can lead to this issue. One of the main reasons someone might see mildew or mold on vinyl siding is that dirt has accumulated on the surface. Not only does that make the siding look unclean, but it can also lead to mildew because fungus often feeds on dirt and dust. In addition, if the home is near trees, some sugary sap from those trees could end up on the siding, and that’s appealing food for fungus. Another reason someone might find mildew and mold on vinyl siding is that there’s moisture somewhere on or beneath the surface. It could be that rainwater got trapped behind the siding or even within the material. It’s also possible that there’s a broken drain pipe or gutter constantly dripping water on the siding, causing it to stay wet. That’s basically an invitation for mold or mildew to start growing on a house. Moisture and dirt aren’t the only culprits when it comes to mildew and mold growing on vinyl. Mold and other fungi thrive in dark places, so if part of the house is constantly shaded, it’s more likely to develop a fungus problem. In some cases, there’s a tree, shed or porch roof that keeps one side of the house from receiving sunlight. Getting rid of this source of shade can help prevent mildew or mold from growing on vinyl siding. 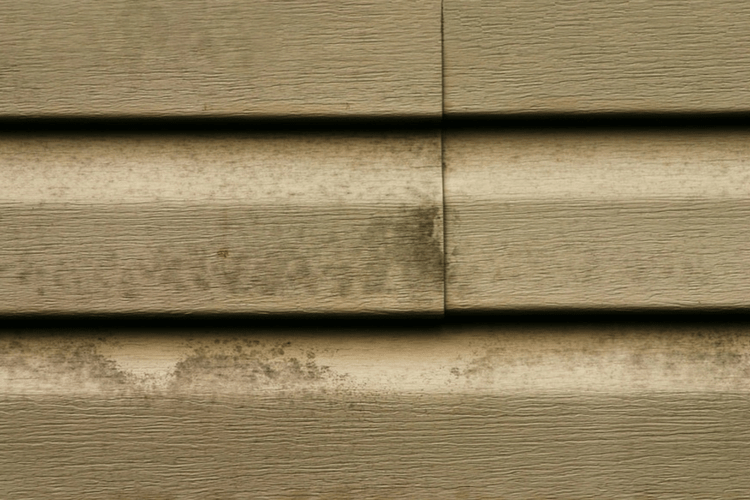 If moisture, lack of sunlight and dirt are all common causes of fungus growth on siding, preventing this problem should involve getting rid of these potential causes. Of course, it’s not always that simple. It can be hard to prevent a house from ever getting wet or dirty, and removing trees and shade structures isn’t always desirable. Fortunately, there are other ways to keep mold and mildew from growing on siding. Cleaning siding with effective cleaning products is an easy way to prevent fungus growth without making any major changes to the property. For example, Gold Eagle carries 303® Mold & Mildew Cleaner + Blocker, a spray that can prevent mold and mildew stains when used according to the instructions. This cleaner’s formula is strong enough to battle mold and mildew growth, but it’s not too harsh on any water-safe surface because it does not contain bleach. This means it’s safe to use on everything from vinyl siding to fabric, such as seat cushions, so it’s ideal for homes, cars and boats. Gold Eagle features a range of products that can help prevent or treat mold and mildew on vinyl siding. Browse our selection today to find out more about which cleaning products can help keep mold and mildew growth under control.